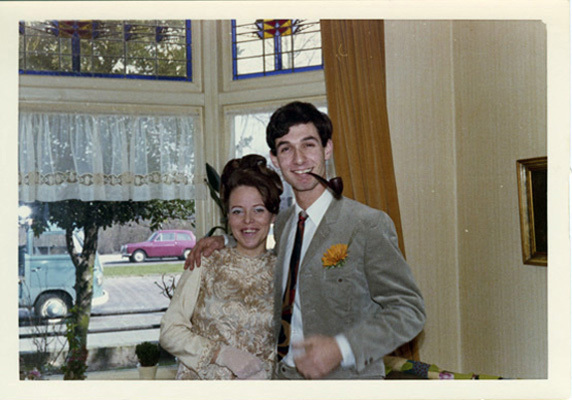 Nico Visjager and his bride, Ellen; Amsterdam, Holland, ca. 1968. Nico is Vera's "twin"—they were in hiding together, three months apart in age, and were passed off as twins during the war.